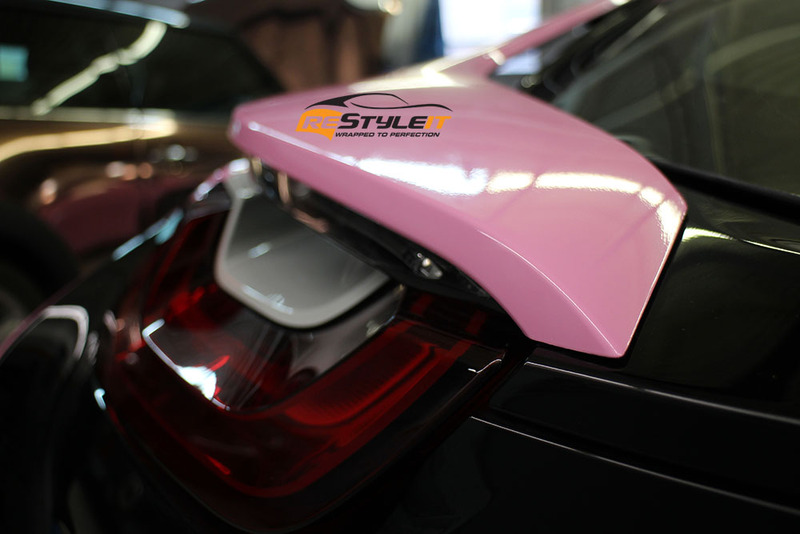 Special color for a special car. 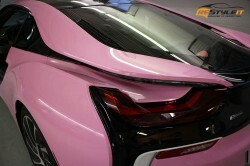 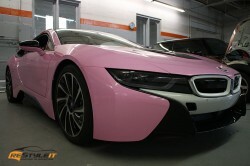 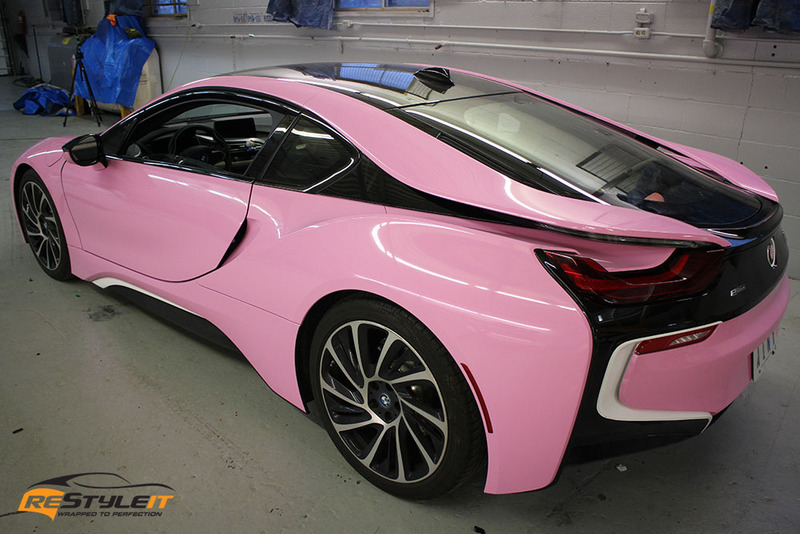 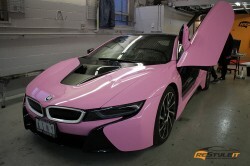 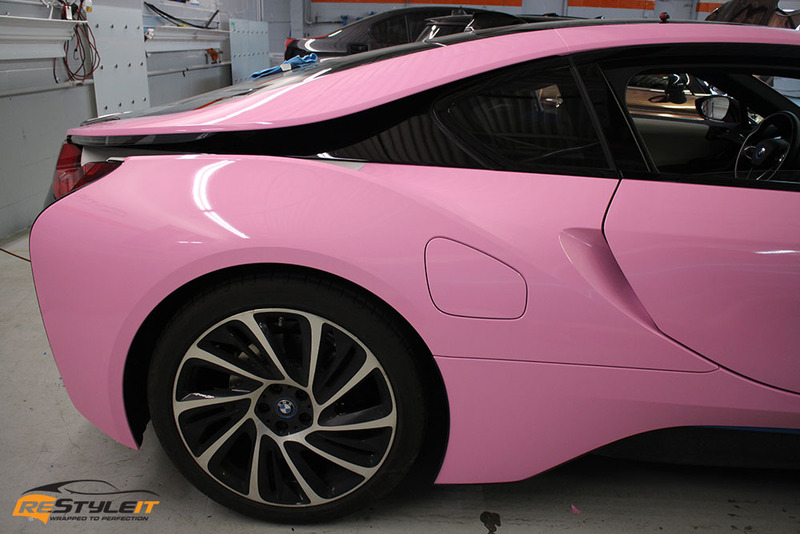 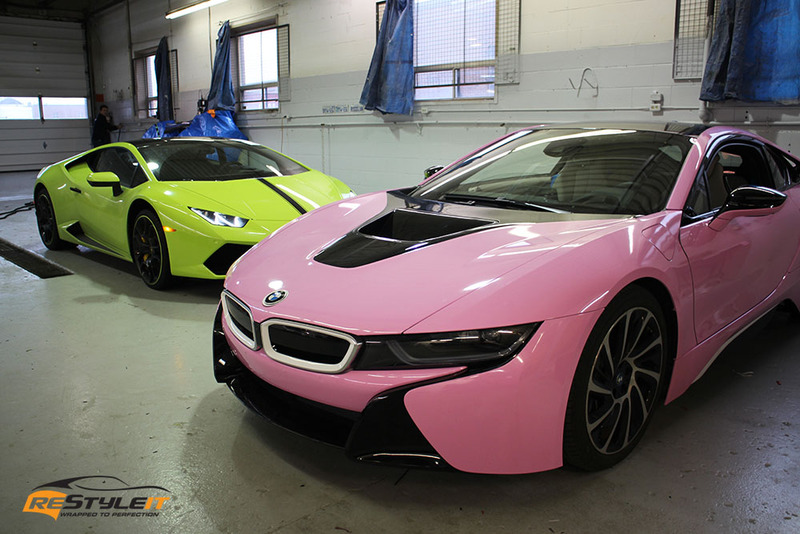 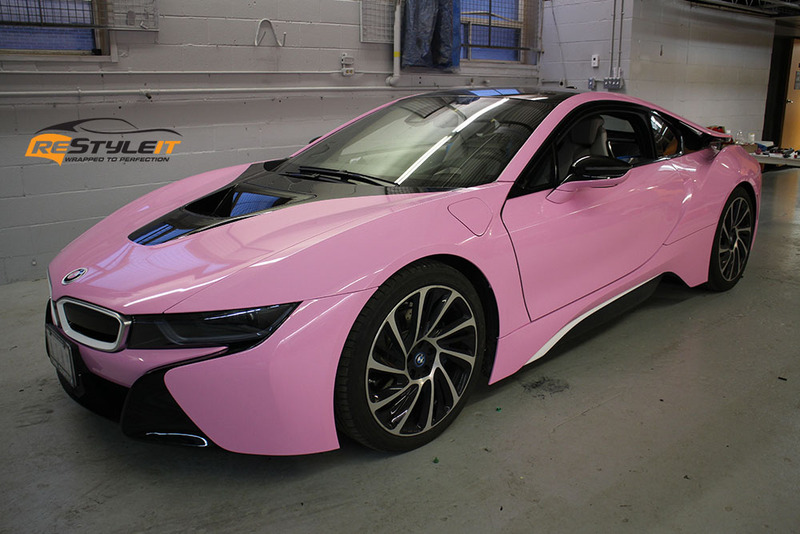 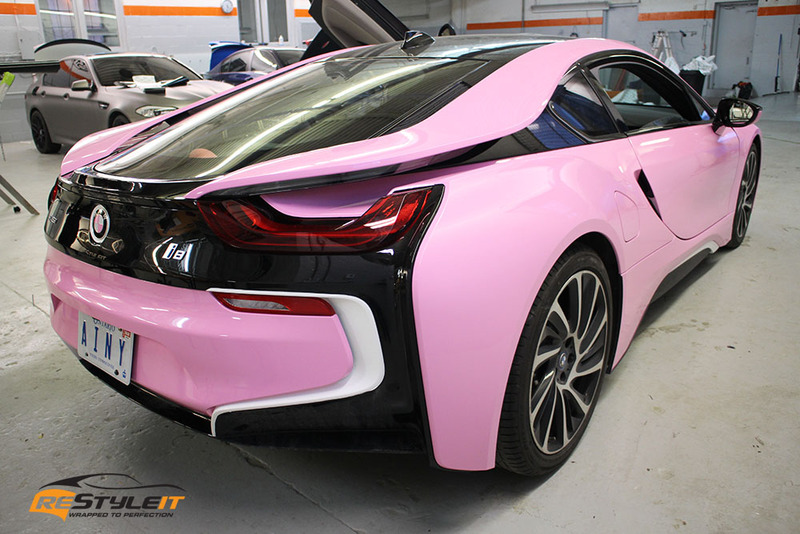 Yes, this is a gloss pink BMW I8! 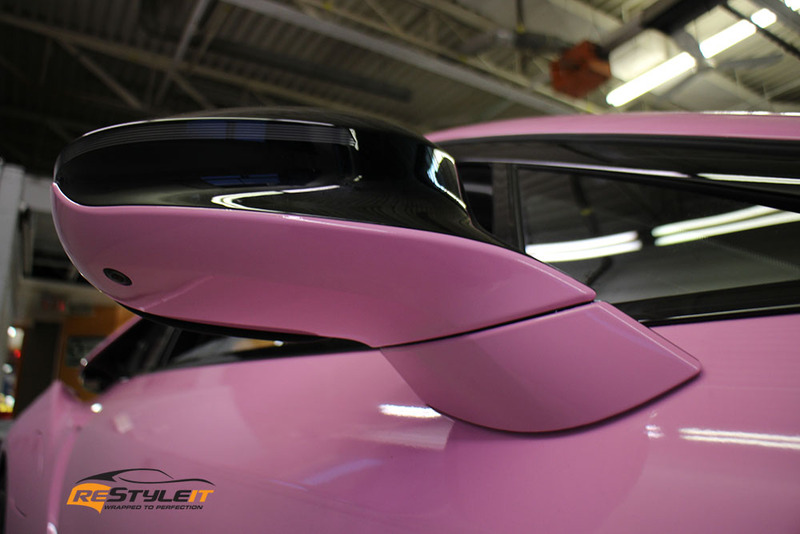 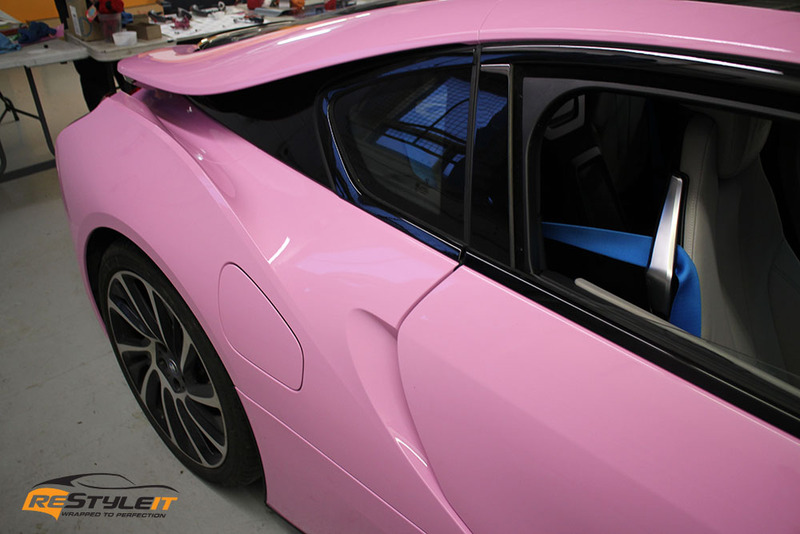 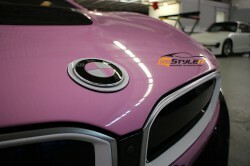 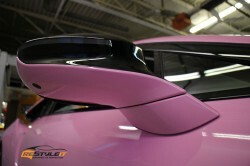 Many people joke about wrapping their car in pink when they come to choose the color for the wrap. 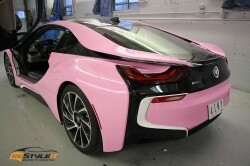 Well, only few of them are actually being serious about it! 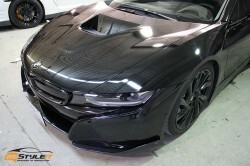 But when they are, the project becomes a head turner! Just like chrome, pink cars are not for everyone, but that’s what makes them even more unique. 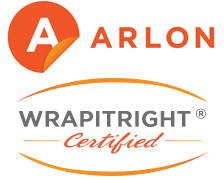 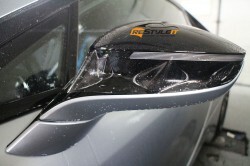 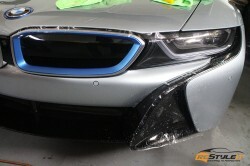 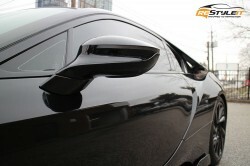 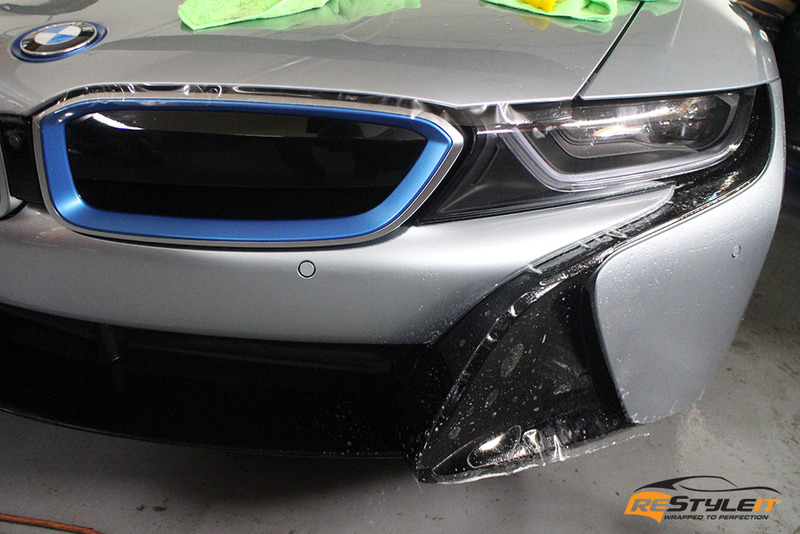 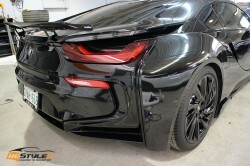 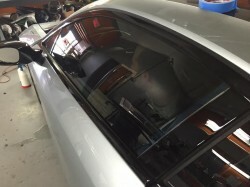 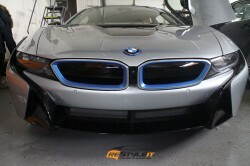 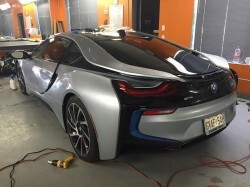 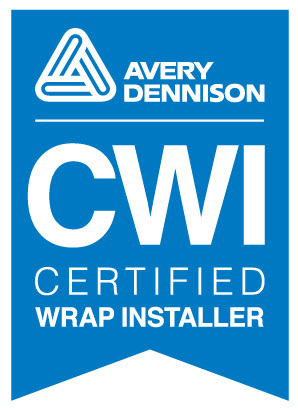 Keep in mind though, it’s a wrap and it can be removed any time with no damage to vehicle’s original exterior. 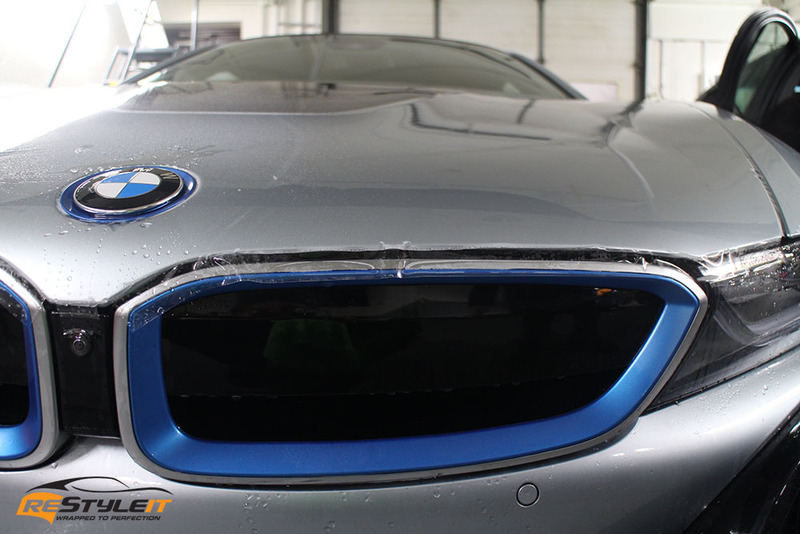 So why not experiment, right? 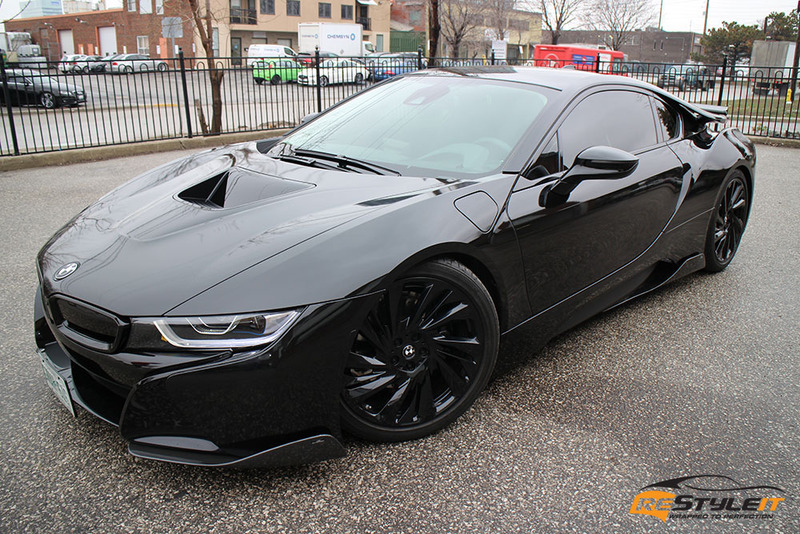 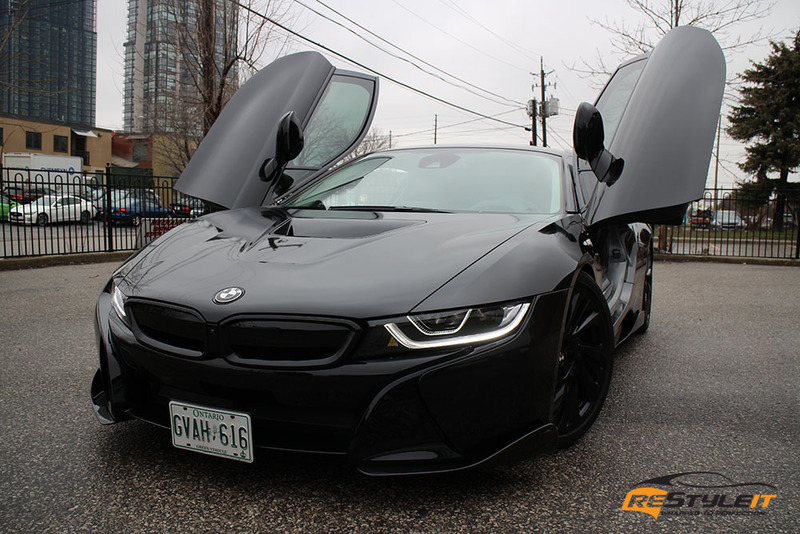 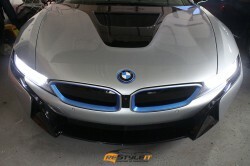 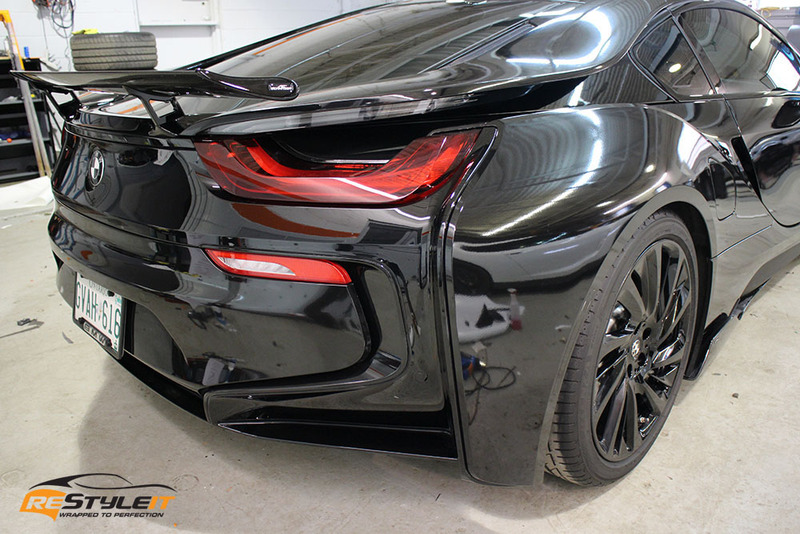 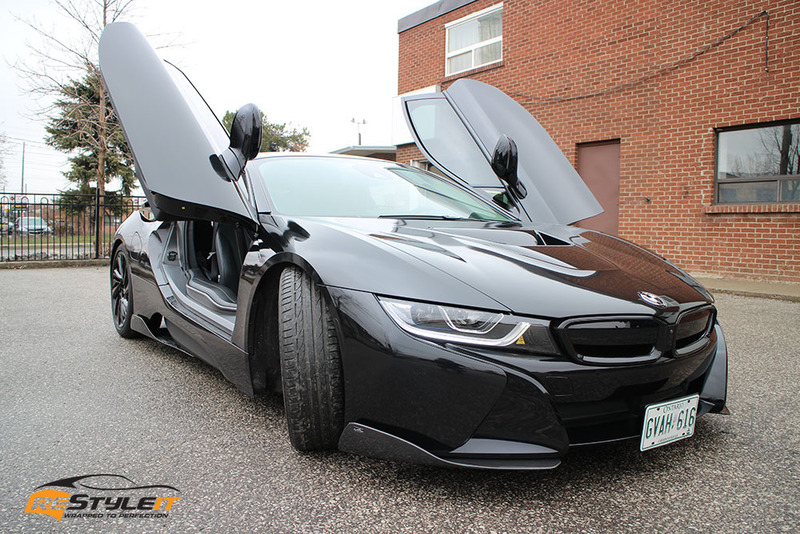 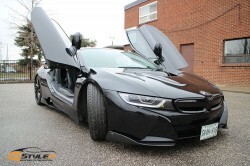 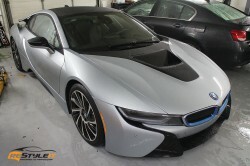 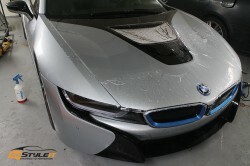 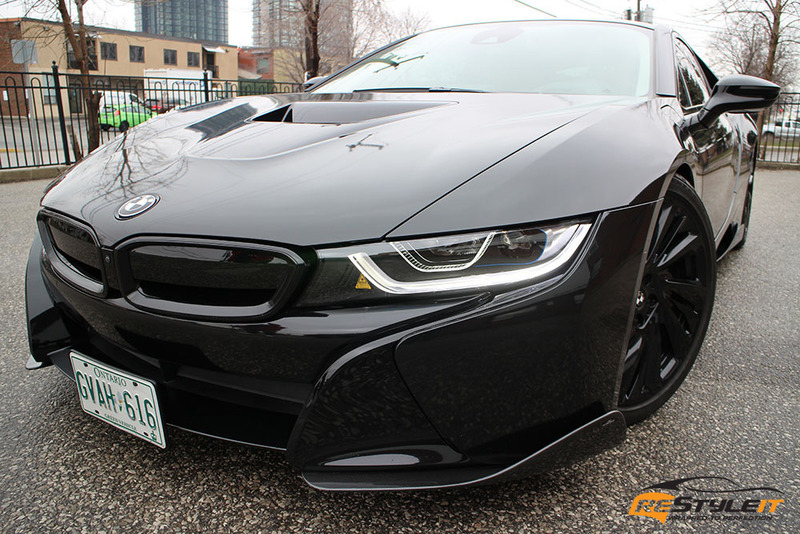 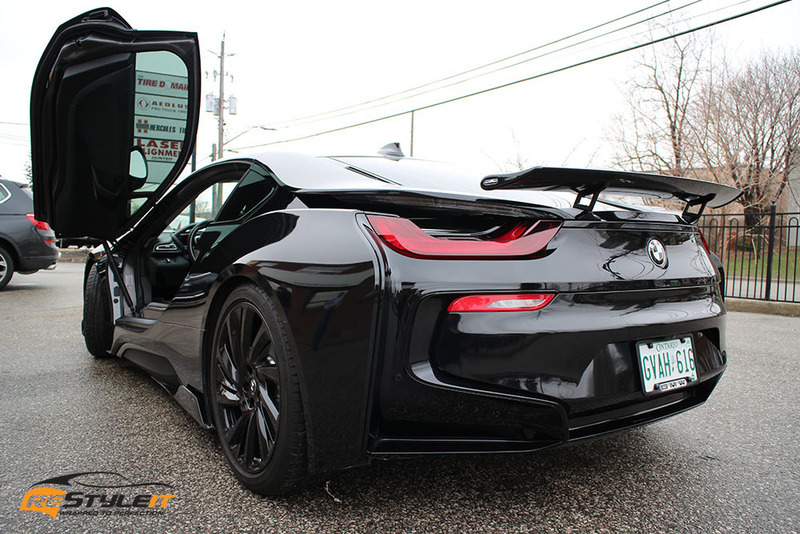 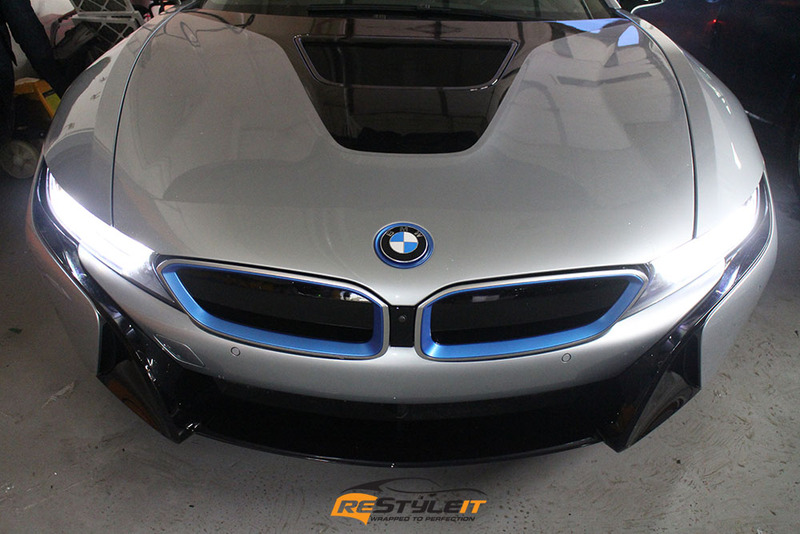 Before we knew it, revolutionary vehicle with quite an impressive performance features and futuristic design, BMW I8 made it to the market and became available to its first buyers. 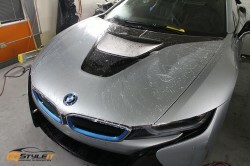 One of the very first ones delivered in Canada was taken straight to Restyle It facility to undergo a special protection treatment before it even hits the streets of the city. 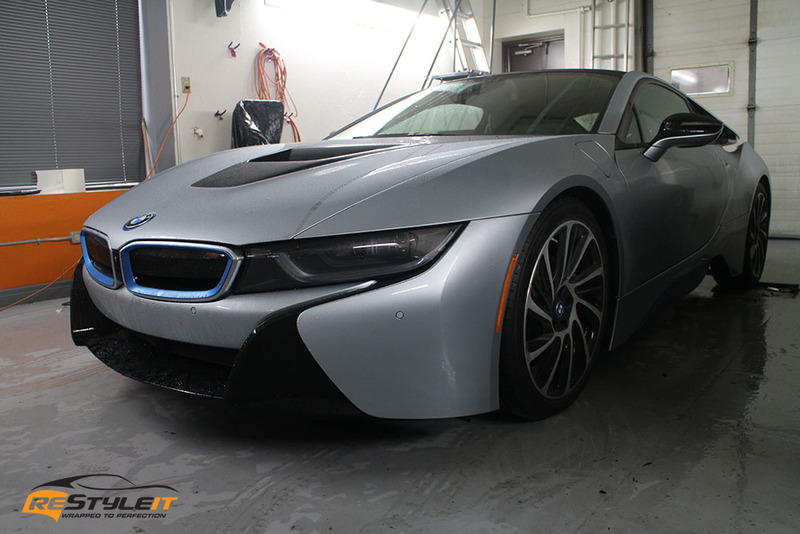 Looking to preserve the excellent paint condition on his new ride the owner brought it in so we could treat the vehicle with Full Front End Clear Protection install: full front bumper, full hood and the set of side view mirrors. 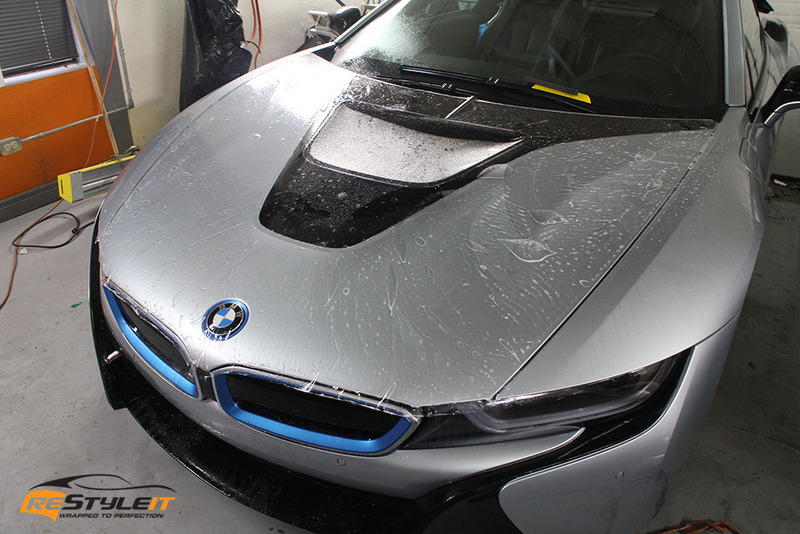 When it comes to your investment, chances are totally not worth to be taken, so give us a call and get your Clear Protection quote today!